July 13 ….Buddy Holly Summer Showcase Series - This week, hONEyhoUSe plays Blues/Soul/Folk/Americana. Summer Showcase 2017 is free to the public. There will be a cash bar, food and beverages available for purchase. Please, no outside beverages are allowed. Performances every Thursday evening from 5:30 pm – 7:30 pm in the Meadows Courtyard, 1810 Crickets Avenue. 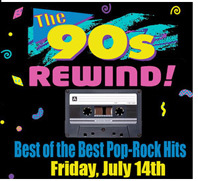 July 14….Cactus Theater Presents: ’90s Rewind: Best of the Best Pop-Rock Hits - Make plans now to relive the newest "retro" musical time period....the '90s! We'll bring the "best of the best" pop-rock classics front and center as we celebrate the hits of Dave Matthews, REM, Matchbox 20, Sheryl Crow, Aerosmith, Nirvana, Melissa Etheridge, Blues Traveler, Counting Crows, Radiohead, Goo Goo Dolls, Red Hot Chili Peppers, Green Day...to name just a few! Join the incredible Cactus stars - backed by equally incredible backing band - The Rhythm Machine - as we line up the hits back-to-back all night long. Get your tickets NOW for this very special, ALL NEW, Cactus production! Reserved floor seats $20; standard balcony $15. Limited box seats $40 - which includes concession goodies with your ticket! . Box office open daily 3:00-5:30 p.m. or call (806) 762-3233 or order online at cactustheater.com. Cactus Theater, 1812 Buddy Holly Ave: 7:30 p.m.
July 14-15 (Repeats July 21-22, 28-29)….Moonlight Children’s Theatre presents “Shrek Jr.” - Moonlight Children’s Theatre will present SHREK JR in the stunning outdoor setting of the Moonlight Musicals Amphitheatre in Lubbock’s Mackenzie Park. Based on the Oscar-winning DreamWorks Animation film, "Shrek Jr" brings all the beloved film characters you know to life on stage, and tells the tale of an unusual hero who finds himself on a life-changing journey alongside a wisecracking Donkey and a feisty princess who resists her rescue. Throw in a short tempered bad guy, a gingerbread man with an attitude, and many other fairy tale misfits, and you’ve got a musical like none you’ve ever seen! Tickets can be reserved by calling Select-A-Seat at (806) 770-2000. 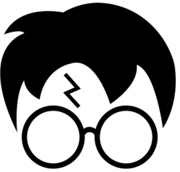 Moonlight Musicals Amphitheatre, 413 E. Broadway; Designed for youngsters, the performances begin at 9 a.m.
July 14-15 (Repeats July 21-22) – CATS Playhouse Presents: "Harry Potter and the Obnoxious Voice...the Sssspoof!" - Harry is once again locked in his room where Dobby & Winky come to save, not his life, but at least his career. At Hogwarts, things are weirder than ever: Snape is furious at Ron's splashed potion, Hagrid doesn't think Harry's "hearing voices" thing is funny. Dumbledore has lost his meal ticket, Luna dissects the brown bag lunch, Malfoy has a fancy-schmancy new "mission", Moaning Myrtle is giving tours of the plumbing, time is twisting, and the House Elves battle Peeves, a three-headed dog, and whisper about "The Master." "Harry Potter and the Obnoxious Voice...the Sssspoof!" is by Jeanette Jaquish and directed by Marissa Olive. Reservations can be made at www.catsplayhouse.com. CATS Playhouse, 2257 34th Street; 7:30 p.m.
July 14-15 (Repeats July 21-22, 28-29)….Moonlight Musicals Presents “Sister Act” - To continue the 12th summer season, Lubbock Moonlight Musicals, will present the hit musical comedy, Sister Act! Dazzling diva turns comical convert! Based on the popular Whoopi Goldberg film, Sister Act centers around nightclub singer Deloris Van Cartier. Forced to flee her gangster boyfriend, Deloris suddenly finds herself thrust into the confines of a convent with a habit for disguise! Unaccustomed to a low-key lifestyle, Deloris shakes up her sister sisters with her flamboyant tales of rock and Reno! As penance for her “un-nunly like” behavior, Deloris is forced to tune up the tone-deaf choir and finds herself winning friends and influencing papal… we mean people. Tickets can be reserved by calling Select-A-Seat at (806) 770-2000. Moonlight Musicals Amphitheatre, 413 E Broadway; Gates open at 7 p.m. and the performance begins at 8 p.m.
July 15….Lubbock Downtown Farmers Market - Looking for best in local produce, handmade and artisan products? If the answer is YES...then visit the Downtown Farmers Market each Saturday at 19th and Buddy Holly Ave from 9 a.m. to 1 p.m. for a taste of downtown Lubbock, and the finest in local produce, meat, dairy, cheese. baked goods and arts. The market will be every Saturday thru October 28th from 9 a.m. until vendors sell out. For more information, visit lubbockdowntownfarmersmarket.com/. We look forward to seeing you every Saturday at the Lubbock Downtown Farmers Market at 19th Street & Buddy Holly Ave.
July 15….Growing up WILD - This latest Landmark program is designed to engage 3 and 4 year olds in the natural world by connecting them to nature through stories, take home activities, and outdoor explorations. What to wear: Close toed shoes and weather appropriate clothing. Admission is FREE! Space is limited, so registration is required. Children must be accompanied by a parent or other caregiver. For more information and to register your child(ren), please contact Landmark Education at 806 742 1116 or email landmark.education@ttu.edu. 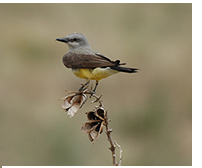 Lubbock Lake Landmark, 2401 Landmark Drive; 10 a.m.- 12 noon. July 15….2017 Salsa and Sangria Fest - Come out to Llano Estacado Winery for the 2017 Salsa & Sangria Fest featuring a salsa competition, taco trucks, live music and of course Sangria! Bring your friends - entry is only $20 and includes the salsa tastings, three glasses of sangria, live music and more! Call 806-745-2258 to buy tickets or come by the winery! Ticket sales will be limited. T-Shirts will also be for sale for $15 at the door or $10 with your ticket purchase. Llano Estacado Winery, 3426 Farm to Market Road 1585; 11 a.m. to 4 p.m.
July 15….Christmas In July Craft Fair - Celebrate Christmas In July with us! We will have a variety of vendors with handmade crafts, direct sales reps, and baked goods! Perfect time to get an early jump on Christmas shopping! We will have free admission and door prizes! Wolfforth library meeting room, 508 E Highway , #82, Wolfforth, TX; 11 a.m.- 5 p.m.
July 15….Saturday Lectures Presents: The Life and Art of Pieter Bruegel with Christian Conrad - While the Renaissance was occurring in Italy with such famous artists as Leonardo and Raphael, a different artistic awakening was occurring in Northern Europe led by innovative artists such as Pieter Bruegel the Elder. While the focus in Italy was primarily on religious works, the Netherlands and other northern locations favored secular images that often presented morals or ideas of the time through the art. 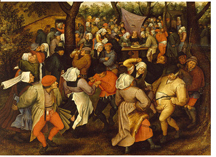 Bruegel, who was considered the master of this period, used peasants as his primary source of inspiration, chronicling their lives and customs in his work. In addition to his own art, Pieter Bruegel is seen as beginning an age of painting, found not only in other artists but also in his two sons. Saturday Lectures at LHUCA is an informal conversation over the life and work of contemporary artists. It’s a stress-free opportunity to examine the art and ideas that underlie much of the modern art world. Attendees are encouraged to ask questions and join the conversation. Event is free to the public. Join us for coffee and donuts! 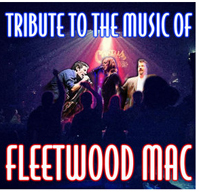 LHUCA, 511 Ave K; 11:30 a.m. - 1 p.m.
July 15….Cactus Theater Presents: Tribute to the Music of Fleetwood Mac - Make plans now to join us for a night of musical magic - as we pay tribute to one of the most popular recording acts in history! From their early formative years to their current status as rock 'n' roll royalty, the members of Fleetwood Mac have thrilled fans worldwide for nearly five full decades. The Cactus Theater presents one of the most requested shows ever when we present the timeless music of Mick Fleetwood, Christine and John McVie, Lindsey Buckingham and Stevie Nicks. You'll hear the all-time favorites...."Dreams", "Gypsy", "Rhiannon", "The Chain" and nearly two dozen more. It promises to be a night of unforgettable moments as we bring to the stage an incredible lineup of songs and singers backed the The Rhythm Machine. Tickets on sale NOW....get 'em while they last. This show is one our most popular ever! Reserved floor seats $20; standard balcony $15. Limited box seats $40 - which includes concession goodies with your ticket! . 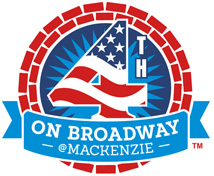 Box office open daily 3:00-5:30 p.m. or call (806) 762-3233 or order online at cactustheater.com. Cactus Theater, 1812 Buddy Holly Ave: 7:30 p.m.
July 15….Songwriter Showcase Concert at LHUCA - LHUCA will host a free Songwriter Showcase held on the beautiful outdoor Reagor Dykes Stage on the LHUCA Plaza. The evening will begin with the grounds open to picnic-ers. Bring your dinner, dessert, and lawn chairs. The music will start at 8:30 p.m. and finish at 10 p.m. This showcase will be fashioned as a song-swap moderated by host Andy Wilkinson. This Songster and Songwriter Showcase will feature songster Andy Hedges and songwriters Chuck Hawthorne and Bob Livingston. 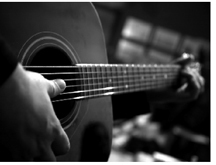 Along with the music, there’ll be stories and discussion about songs and songwriting. Bring the whole Family and enjoy a relaxing evening on the LHUCA Plaza, 511 Ave K; 8 – 10 p.m.
July 16….RE-SCHEDULED from July 4 - Covenant and First Bank & Trust Evening Concert - For the first time since 2009, the evening concert returns...despite the rains which prompted this rescheduling from Tuesday, July 4. Event begins at 7 p.m.
July 16....Sunday Concerts at The Park - Bring your blankets, lawn chairs and picnics to Wagner Park and listen to the Westwind Brass Band. Note: this is the final concert of the 2017 summer season. Enjoy these free concerts for all ages and experience music out under the West Texas sky in this neighborhood park. Wagner Park is located at 26th Street and Flint Avenue. 8 p.m.
Aug 2….Ireland's Jewel: The Legendary Mary Black - Live!